Please find below is the Job Descriptions for 2 different role available with major oil and gas operator whose origin is from Middle East. Please note this position will initially based in Kuala Lumpur for two to three months, before re-locating to Doha on a residential basis, and then eventually working offshore on a 28/28 rotation. Review construction work plans, pre-task planning and method statements to ensure comprehensive safety and feasibility. Provide Company representation in monitoring contractor’s construction-related offshore site activities. Reports activities, progress, and areas of concern to Construction Manager. Monitor and assist the Contractor in the implementation of site-specific SHE&Q programs to meet safety improvement strategy & objectives, emergency response and evacuation drill programs. Ensure construction plans are developed in accordance with Company rules, regulations, and standards and permit to work procedures as applicable. Report and record potential change order requests to assist in claims avoidance. 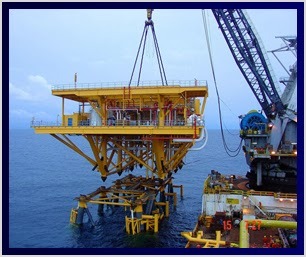 Specific involvement in offshore construction in a project environment including direct “hands on” experience in fabrication and offshore modifications. Please note that this is initially a residential position, commencing April 2014 with the base location being Doha, and then offshore on 28/28 rotation. Review construction work plans, pre-task planning and method statements to ensure comprehensive safety and feasibility during pipe lay, riser and crossing installation, gauging and systems completion activities. Provide Company representation in monitoring Contractor’s pipeline construction-related site activities. Reports activities, progress, and areas of concern to the construction manager. Specific and extensive involvement in offshore pipeline construction in a project environment including direct experience in pipe lay, crossings, beach pull and offshore installation of risers and pipeline. International experience, especially in Qatar or the Middle East.